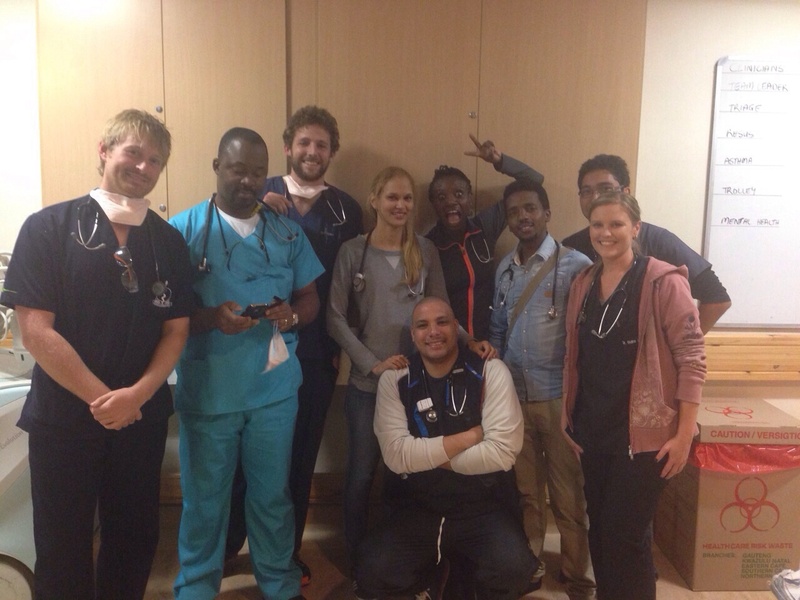 I recently completed a 3-month postgraduate EM elective in Cape Town, South Africa. I arranged the elective through Stellenbosch University, and worked in 2 hospitals – New Somerset Hospital in the Cape Town city centre, and Khayelitsha District Hospital in the nearby township. I hunted down the experience in order to sample a new flavour of EM, and expose myself to some regular major trauma for the first time. It was the most important experience of my career so far. Here are 10 lessons I learnt. Whilst working in the extraordinarily violent township of Khayelitsha, I saw an incomprehensible amount of major trauma – mostly penetrating (stab injuries and gun shot wounds). Initially, I was startled by the mind-boggling volume of inebriated, blood-soaked young men that got hurriedly wheeled in after yet another act of violence in the township (32 stabbed chests in one night shift was the worst I saw). After a few shifts I became reasonably acclimatised (less frightened) and able to maintain a degree of composure when tackling the onslaught of trauma victims. I quickly learnt that a calm, systematic approach in resus would always identify culprit pathology, and most identified pathologies had clearly defined management strategies in the ED. Nice and simple. The experienced South African doctors would rapidly recognise patterns by marrying the mechanism of injury to the appearance of the patient, and build a differential. The vast majority of sick trauma patients had their life-threatening pathology picked up within minutes, and interventions performed almost concurrently. 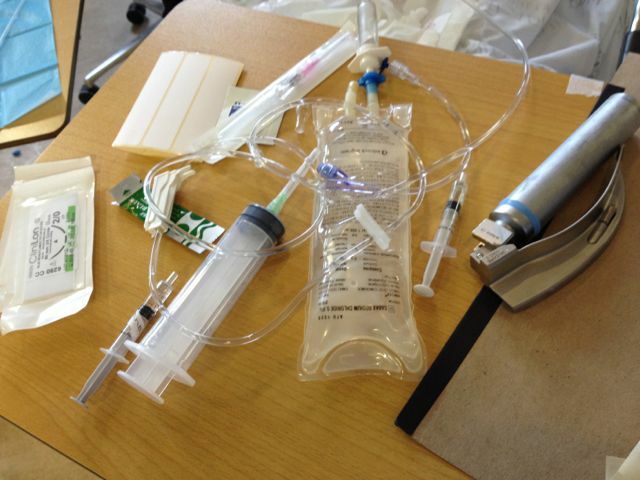 In ‘trauma Mecca’, it dawned on me that there are only a handful of immediately life-threatening pathologies (in blunt or penetrating trauma), and the interventions we can provide in the ED are limited, but life saving if performed appropriately… and fun to perform as they are largely procedural. Identifying pathology is the easy bit for the experienced EM doc armed with an ultrasound. Intervening in a timely fashion is where the challenge lies, along with getting the patient out of the department to an appropriate disposition if needed. Prior to my trip to South Africa I had never worked in a major trauma centre. My eyes have been opened to the beautiful simplicity of trauma management (in the ED… more complex beyond of course), and I am hungry for more later in my career. Here is a previous post on a great trauma case that I saw out there. Suturing instruments – see lesson 3 for how this obstacle was negotiated. 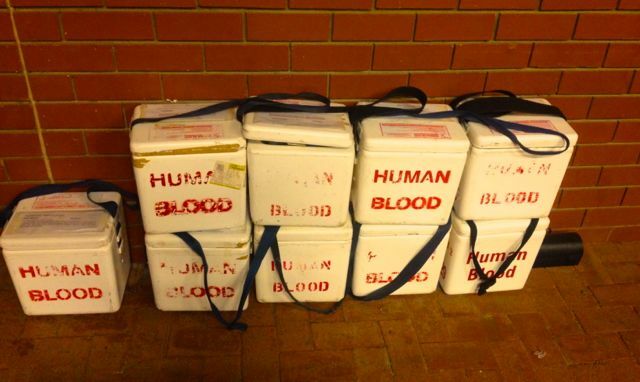 O-negative blood – in Khayelitsha there was only 6 units available per shift. Blood gas syringes – had to manually heparinise a regular syringe. 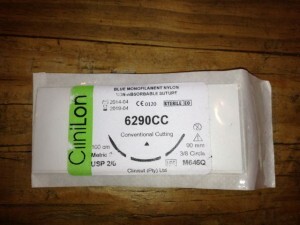 Scalpal handles – had to hold blade without handle when making incision. Possible, but challenging. Disposable gloves – this only happened once; had to use sterile gloves for basic procedures (i.e. venepucture, IV cannulation). Beds (and chairs!) – probably the most challenging shortage. Several times I saw intercostal drains being inserted with the patient lying on the floor. Impossible to avoid. Did this have a detrimental effect on patient care? NO. The South African doctors and nurses adapted, and made do with what was available to them. They seemed completely at ease with the reality of their overburdened, under-funded working environment, and I never heard them complain. Even when a shift got crazy busy (which dwarfs a busy shift I’ve encountered elsewhere – see lesson 9) and equipment ran out more rapidly, the team took it in their stride. For me, this was valuable insight into how insanely lucky we are in the developed world. I can’t remember the last time there was a shortage of any equipment whilst on shift. This dose of perspective will hopefully hold me back from unnecessarily bitching on the job – something I know I’ve been guilty of in the past. To preserve precious equipment, simple suturing was often safely performed without instruments if the wound was appropriate… which most stab wounds were. Large 90mm curved suture needles were used without a needle driver – i.e. the needle was hand held, and advanced through the tissue manually. 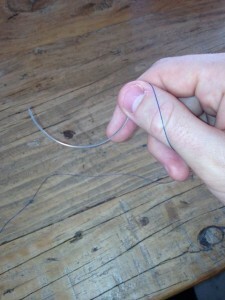 The suture would then be hand-tied with a surgical knot. Before I arrived in South Africa I had never performed a surgical knot, and it became quickly apparent that I needed to learn. I performed countless open intercostal drains over the course of the elective (prior to the elective I’d inserted only two chest tubes via Seldinger approach). Acquiring the knack of blunt dissecting through the layers of the chest wall, and popping a finger into the pleural cavity was fairly straightforward. Of course there are many ways to skin a cat, this is just my opinion! ‘Simple gastroenteritis is a diagnosis of the intellectually challenged’. The words of my boss on day 1 in Khayelitsha, after I’d made a naïve diagnosis. The HIV burden was predictably enormous. It dominated the differential for every sick medical patient – because they were almost always positive. Headache? Think cryptococcal meningitis. SOB? Think PCP. Diarrhoea? Think… NOT simple gastroenteritis! 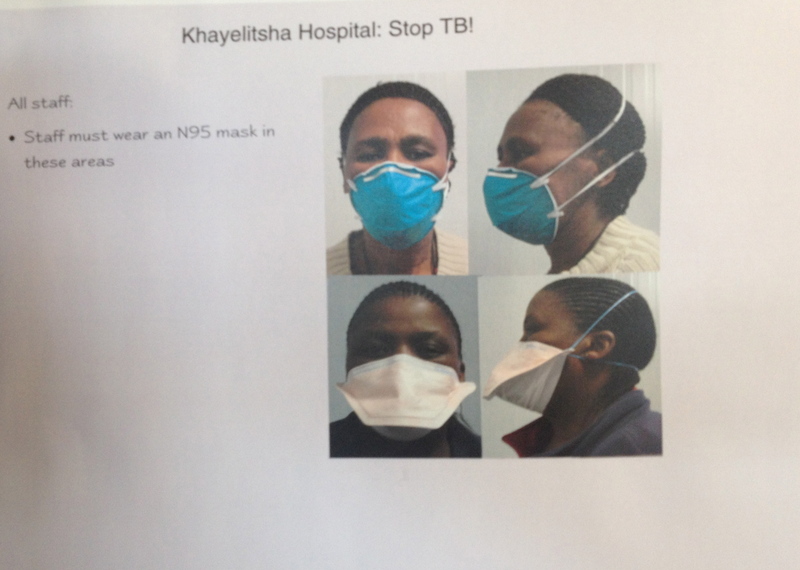 An equally ferocious burden was TB – constantly seen in combination with HIV. The site of TB ravaged lungs on a chest x-ray became all too familiar, as were frighteningly young patients with signed DNAR forms because the disease had rendered them with minimal respiratory reserve. HIV status? First question in every patient. Last CD4 count? Heartbreakingly few could recount theirs out in the township. On antiretroviral (ARV) therapy? How long for? Compliant? Having to re-jig the structure of my history taking to ensure I accounted for this population’s disease profile was a refreshing challenge. I had to constantly remind myself that there were a few extra layers of detail, and a wider differential to consider. For example, when I saw a 66 year-old male with pleuritic chest pain and hypotension… I didn’t expect to be performing my first pericardiocentesis to relieve tamponade from a TB pericardial effusion! It was amazing exposure to the complexity of developing world medicine, and another knockout punch of perspective. With TB a constant presence in both the departments I worked in, most staff wore tight-fitting facemasks at all times. Having never encountered this practice before I often forgot to put the mask on during my first few shifts. When an EM consultant told me a horror story about how he contracted TB a few years back my heart sank a little. How did it present? Acute delirium whilst he was giving a lecture! His chest x-ray revealed a total whiteout of his left lung and he required a stint in ICU. Needless to say… I quickly got my act together. That consultant wasn’t the only one with a story to tell. Multiple junior doctors I worked with had previously completed a course of TB treatment, and many more had taken multiple courses of crippling post exposure prophylaxis (for HIV) following a needlestick injury. The risk of a needlestick injury was particularly threatening when a lot of trauma rolled in. This was because the patients were invariably intoxicated/agitated, and required procedural interventions with lots of sharps. Scary stuff. The experience has made me more attentive to the potential hazards in our working environment, and given me a greater respect for PPE. The two consultants I worked most closely with (Dr. Dave Fredericks at New Somerset, and Dr. Sa’ad Lahri at Khayelitsha respectively) were immensely effective educators. They brought a department to life (no pun intended) with their interactive and animated teaching styles. Crucially, they took full advantage of the abundant pathology that surrounded them by performing the vast majority of their teaching at the bedside. 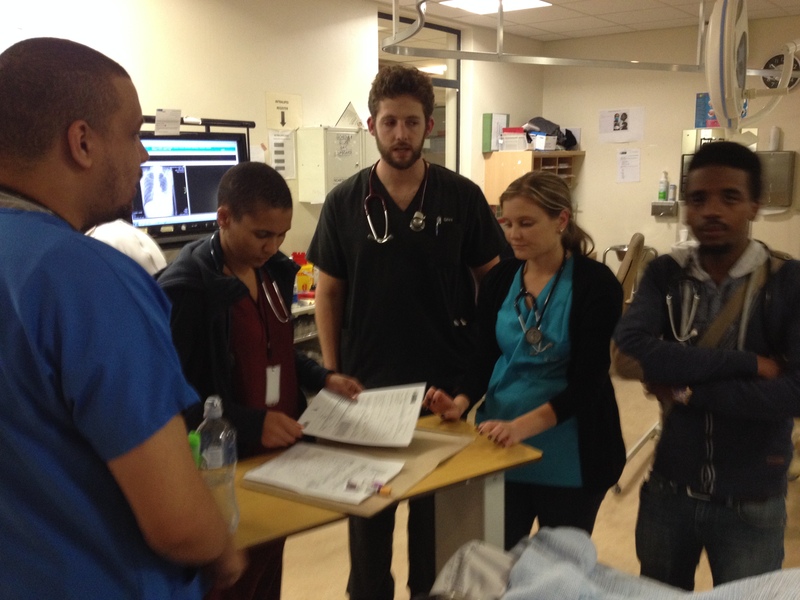 Wide-ranging illness and extreme physiology is business-as-usual in a South African ED, and so each shift felt like an educational workshop as much as it did a day at work. Regardless of the scenario, they always took the time to educate those around them. This attitude filtered down to the juniors, which made the place sizzle with positivity. It was a learning frenzy! I am now more conscious to take advantage of good pathology when I come across it – i.e. when seeing an interesting patient, opportunistically read-up or teach. Learning/teaching is so much more powerful if the subject matter is right in front of you. With exams coming up later this year, this was a particularly useful lesson. 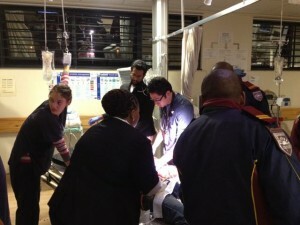 In Khayelitsha, you can get an ECG, blood gas, portable x-ray and basic bedside ultrasound in resus. Bloods can take up to 6 hours to come back, and there is no CT scanner. Would the existence of more readily available blood results and a CT scanner make an enormous difference to patient outcomes? Probably not in this setting. The sicker patients (who didn’t need immediate surgery – one surgeon was available out of hours, often covering multiple hospitals) were resuscitated, stabilised, and then usually transferred to Tygerberg, the nearby tertiary centre with an ICU. There, patients can get a more thorough workup, and there are more options for definitive management. Working in resus in this setting highlighted an important concept to me. As ‘resuscitationists’ we are not in the business of making precise diagnoses or establishing long-term management plans. Our job is to perform meaningful interventions (i.e. ensure death is avoided), and then fire patients toward an appropriate disposition as quickly and safely as possible. In Khayelitsha, the disposition was invariably ‘transfer to another hospital’, but in other settings it might be ‘transfer to the interventional radiology suite via CT’ in the same hospital. Whilst the disposition might be different, the resuscitation phase is exactly the same (i.e. ensure death is avoided!). 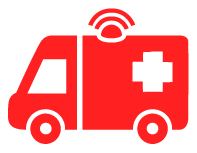 It is easy to lose sight of your resuscitation priorities when there is a plethora of investigations to choose from as soon as the patient roles in, as well as countless neighbouring specialties/services to call for an opinion, all at the touch of a button. Do we need more than an ECG, VBG, a portable x-ray and a bedside ultrasound in the early, resuscitative phase? 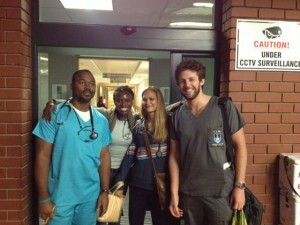 Certainly not in a peripheral hospital in a South African township. Perhaps not back home either. I’ve complained about busy shifts in the past. Whilst working in Australia, when the waiting room wasn’t cleared on a night shift, it was deemed pretty ‘busy’. If there weren’t enough beds to go round, the department would often be put on ‘bypass’ which diverts ambulances to less busy units nearby. What a luxury. 4 severe traumatic brain injuries – palpable depressed skull fractures/visible brain tissue; all intubated, 2 fatalities. These were just the trauma statistics. Mix in a handful of new severely septic HIV patients, some agitated drug-induced psychotics, and a department full of bedblocked medical patients, all of whom had the potential to deteriorate quickly and end up in resus. Not to mention the multiple unseen patients who waited patiently in the waiting room whilst chaos unfolded in resus. On payday weekend at the end of the month that is par for the course in Khayelitsha – it’s like working in a warzone. *A ‘community assault’ is where the local community takes the law into it’s own hands by punishing an alleged criminal – ‘justice’. It usually involves a large group of people beating an individual to death/near-death. Those that make it to hospital normally have severe traumatic brain injuries or crush injuries. Occasionally individuals are ‘necklaced’ – where a petrol filled car tyre is placed around the neck and set alight (always fatal – luckily I never saw one of these). These events were common in Khayelitsha. In Khayelitsha, there was a consultant on the shop floor during the day and evening, and for a morning ward round at the weekend. In my experience, this was much like the UK/Australia. However, the structure of junior medical staffing was novel (to me anyway) – the cohort of interns, residents and registrars were divided up into teams of 4/5. For 6-month blocks, those teams worked every shift together. A team leader – EM registrar or equivalent – allocated roles at the start of the shift (resus, paeds, majors, minors), and a contingency plan was made should things get busy. Naturally, seeing the same faces on every shift made the team very familiar with each other’s personalities and respective skillsets. Whilst it was the team leader’s responsibility to rotate the team from shift to shift so that everyone had a balanced workload and their fair share of time in resus, they also recognised individuals’ strengths and weaknesses, and organised the team strategically to maximise efficiency – this was particularly crucial during busy shifts. Toiling away shoulder to shoulder in this extreme working environment built a strong bond and unique camaraderie. As I’ve described, it could often feel like working in a warzone, and a militaristic ‘all for one, one for all’ ethos was palpable. The inevitable craziness at weekends (particularly overnight) was made that much easier to handle for the individual as it always felt like the team were tackling the workload together. This collaborative approach to problems on the shop floor was also applied to coffee breaks – where all members of the team (without exception) took 20 minutes twice a shift. These precious moments away from the chaos were an opportunity for the whole team to take a collective sigh of relief, and laugh at the absurdity of the job. Enormously therapeutic. Every shift felt like I was going into battle with my mates, and I was prepared to do anything to ensure we all made it to finish line unscathed. I had never felt like that at work before. When the place was overwhelmed with trauma (payday weekend), the whole team defaulted to resus to help out. It was like watching an pit crew fly into action. No matter how overburdened the department became, the team kept on communicating clearly and calmly with each other, with the team leader dipping in and out of each case to provide guidance and encouragement. The elite-level communication skills on display were only made possible by the structuring of the roster. I have no doubt that I witnessed countless lives saved because of good teamwork. 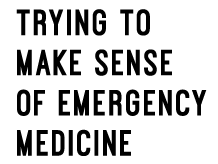 Certainly food for thought if I ever get the chance to take charge of an emergency department in the future. 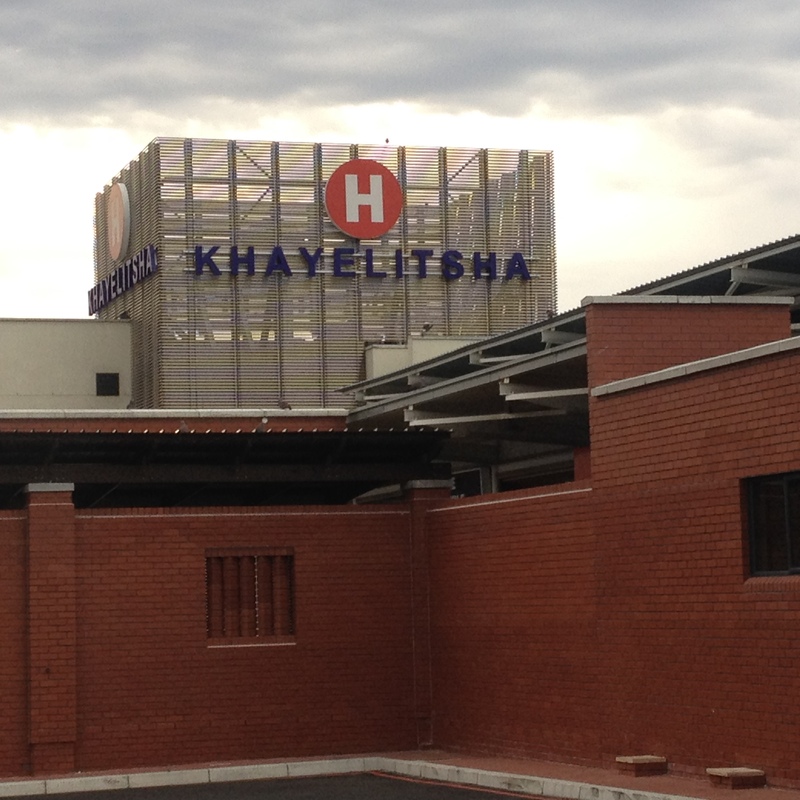 A documentary on Khayelitsha District Hospital – well worth a watch! There are many others, but I would like to say thank you to the following in particular for making my time in South Africa such an incredible professional experience. Team Leaders Minerva and Elaine – you guys are truly inspirational doctors. Nick (thanks for getting me to work safely each day! ), Vivienne, Justin and Nuraan – it was an honour to be on the same team as you. Wonderful post and a good reflection of our brilliant EC docs. However please can you anonymise the TB patient CXR. Have removed the CXR image. Many thanks for highlighting. Apologies. Great post, well written pretty accurate depiction of a regular day in E.C. Feeling very nostalgic and missing those busy night shifts! Great post Rob, and thanks for the ETM mention! Glad you enjoyed the post Andy! Thank you for having me on ETM – an essential experience! Great to read about your experiences in my country. It’s a rough life, but I still love practising medicine here. Enjoying your blog! I would love to be able to get into contact with the author of this article, myself and two colleagues are travelling to South Africa to complete the exact same type of elective at the end of the year. It would be great to get a greater understanding of what to expect as well as find out recommended things in terms of travel and accommodation! Hey Daniel, I am heading down to Khayelitsha for an elective next summer… Not sure if you got in touch with the original author but I would love to hear about your experiences and and suggestions you or your colleague may have. I’m going myself as well, probably sept-dec. Can you guys tell me more? I would like to know if Kayelitsha is preferable for an elective, because I’m also considering 50/50 at New Somerset because of planning issues. Thanks! Hi! 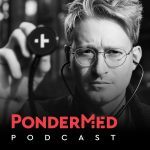 I’m a medical student from NZ hoping to do an elective in emergency medicine/trauma in South Africa next year. 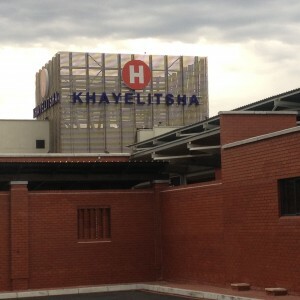 Does anyone have any contact information for Khayelitsha hospital? or any advice about organising an elective here in general?